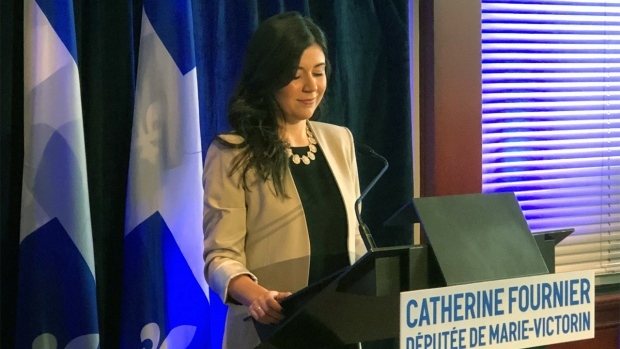 MNA Catherine Fournier announced on March 11, 2019 that she was leaving the Parti Quebecois because she felt the party was not doing enough to promote Quebec's independence. A group of young Parti Quebecois members believe a disastrous showing in last year’s provincial election was the result of a break between the party and the province’s people that may be too big to fix. Nearly 30 members of the PQ’s youth wing praised the party’s contribution to Quebec history but said more and more voters are looking elsewhere and that the PQ is no longer able to lead the province to independence. The publication of the letter was initiated by Melissa Nilsson, who was vice-chair of the Parti Quebecois National Youth Committee until recently. It was written in support of Marie-Victorin MNA Catherine Fournier, who resigned from the party last week to sit as an independent. The letter’s co-signers said they will try to convince colleagues in the PQ to start fresh under a new, neutral banner in a bid to rally a new coalition of separatists. The PQ will gather in Trois-Rivieres next weekend for a meeting of the national council. PQ President Gabrielle Lemieux will present an action plan for the party to move forward. In the 2018 election, the PQ won 10 seats, down from 28, prompting the resignation of leader Jean-Francois Lisee.